Biking has become a trend in the world, many major countries began to switch to bicycle transportation system in certain countries even provide special lanes for cyclists. Environmentally friendly means of transportation is indeed interesting with variety models and types, but sometimes we are hard to keep them in the house. 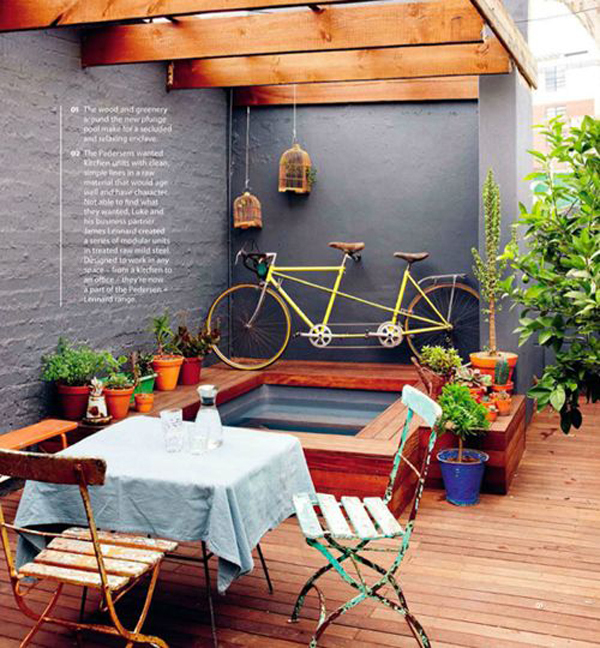 Factors that narrow space is often an obstacle that can not be avoided, dirty, need a large place and bikes are also considered to be an eyesore. 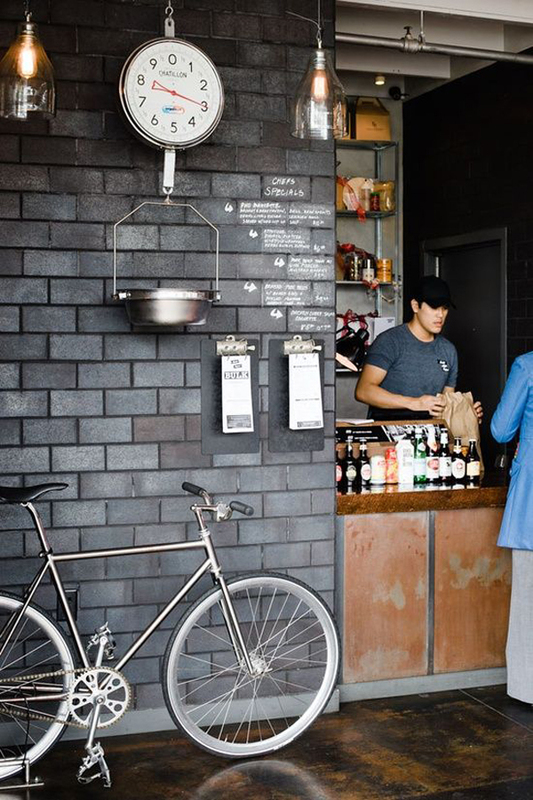 Today many bikes with a high price, it also makes us worried enough to be parked on the roadside, bike can be scratched, rusted, or even stolen. 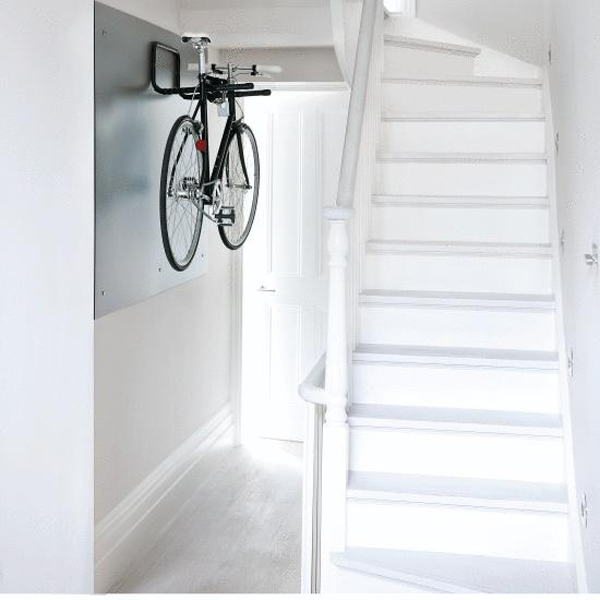 In this article we want to share how a top storage solutions for your home bike, bicycle storage rack is the easiest, brilliant bike hanger, bike mounted up on the wall and much more. 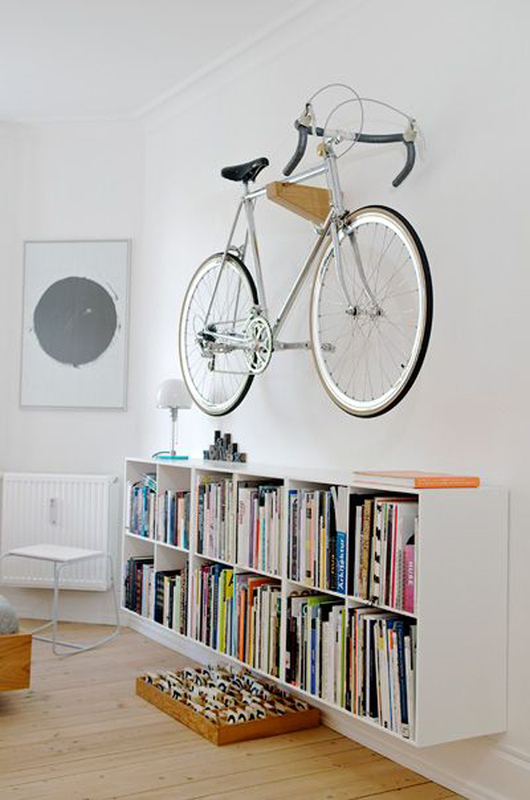 So continue to follow the following interesting ideas for you bike lovers. 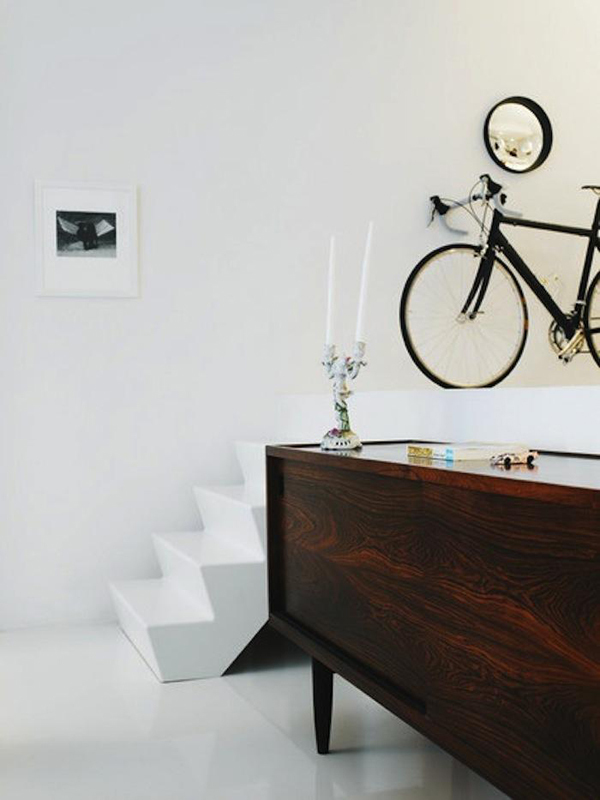 Bicycle storage is integrated with interior is the easiest, because you can put them wherever you desire, the most important is the interior color blends with bicycle. 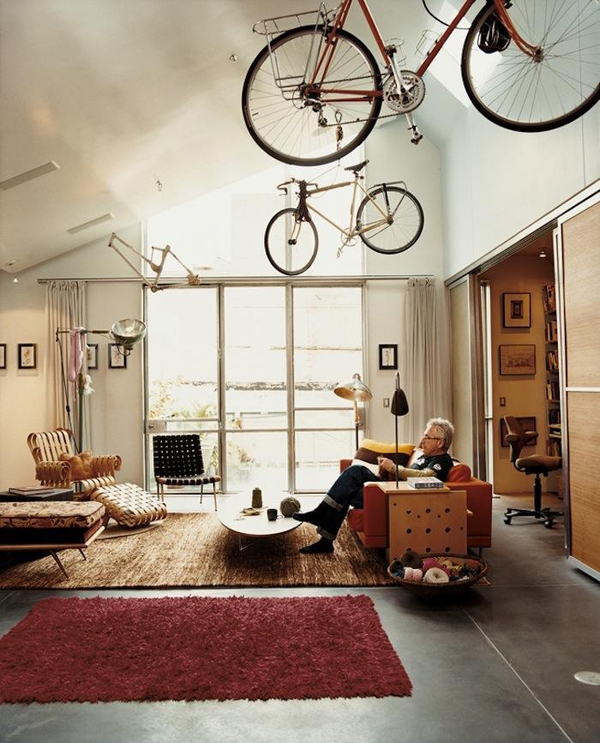 Using the limited space in the house for place to store bike can provide added value to harmony in the home. 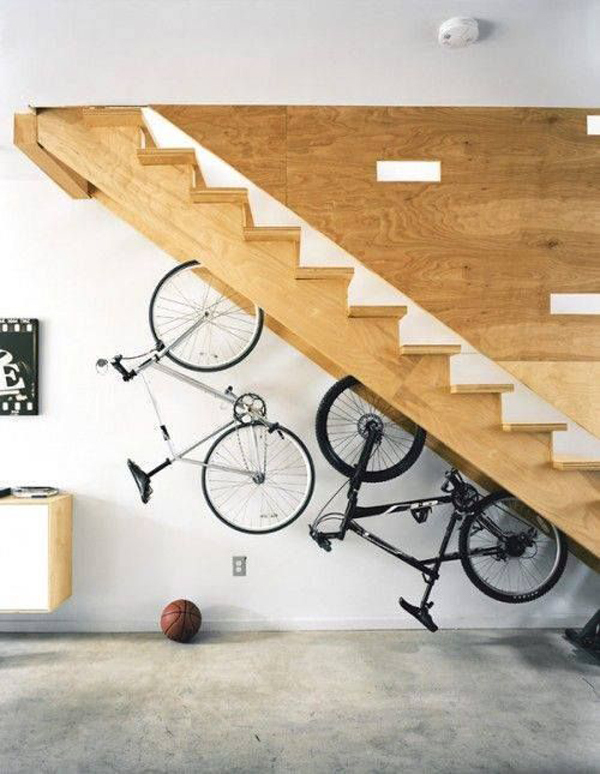 Such hidden room under stairs, next to the shoe rack, closet door, or side room. 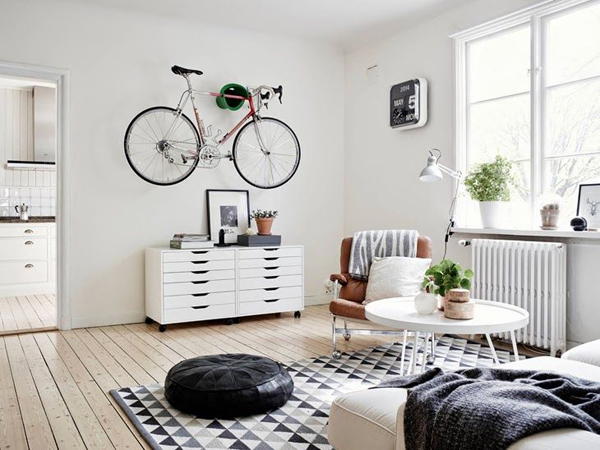 With this small room, giving the impression of bike does not fill the room (let alone a mountain bike or a racing bike). 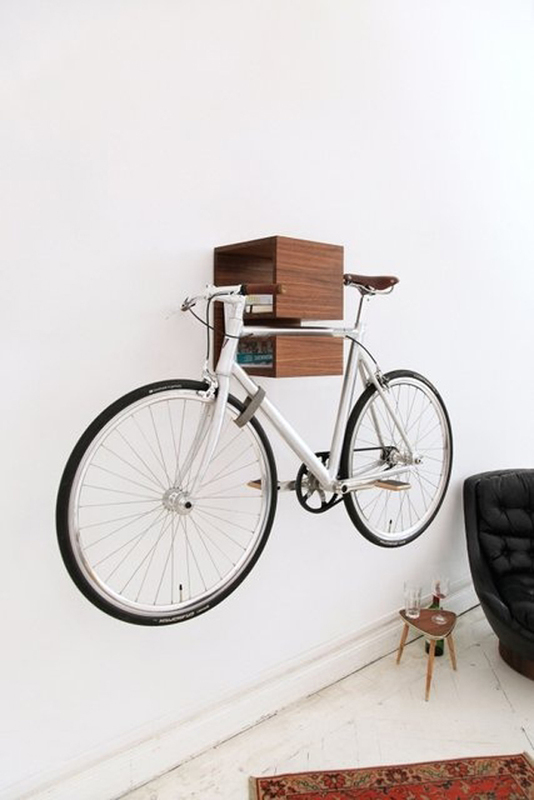 Besides laying bike on a hidden location to provide security against the possibility of falling bike. Hanged is one smart solution. By using clothes clothesline pulley-system, or pole hook, and hung bicycle linked to a vertical position and suspended in the ceiling. 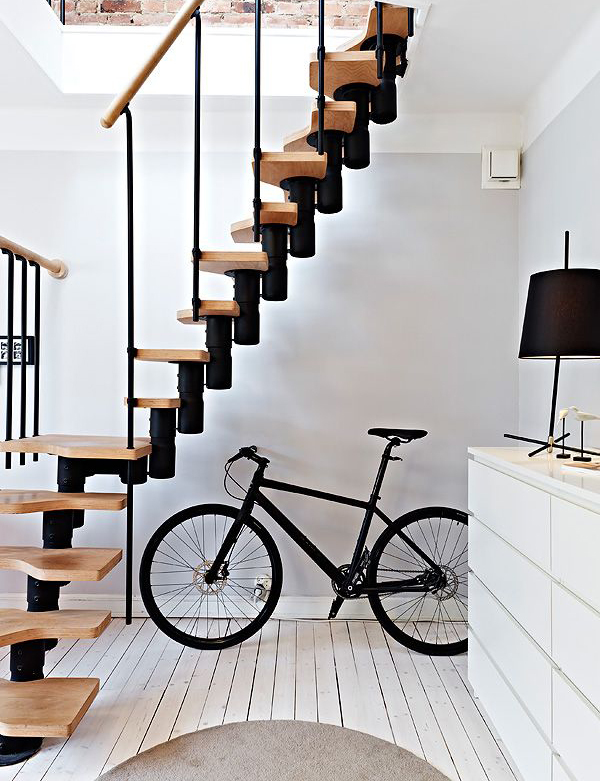 Besides giving the impression of floor area is not disturbed absence bicycle, hang bicycle also provide a unique impression in the arrangement of the house. 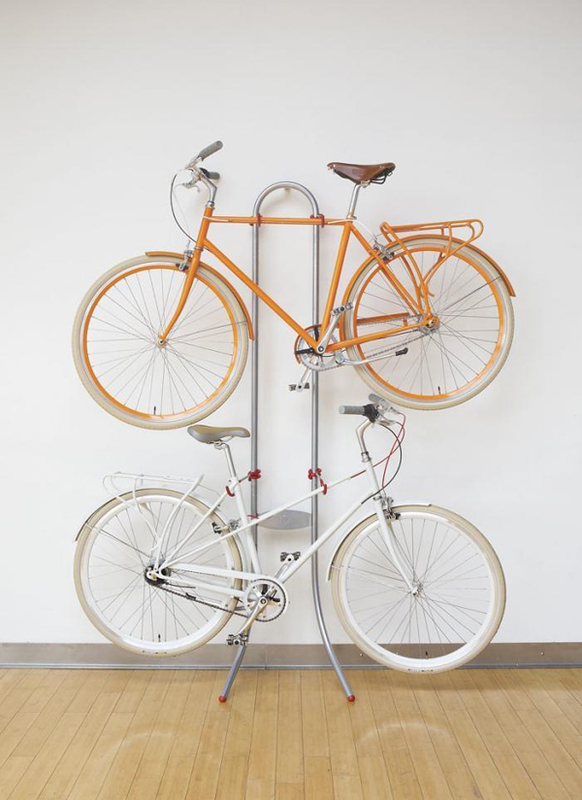 Hook and pulley system needs to be as practical as possible in the design so that the cyclists can take and hang bicycle quickly. The weakness of the system is the safety factor hanged. 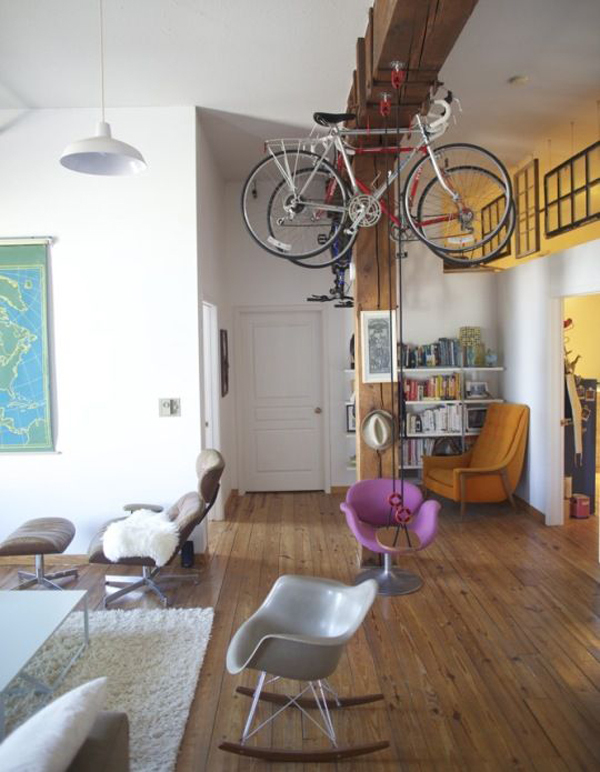 Often hanging bicycle to fall over and cause a risk of falling. 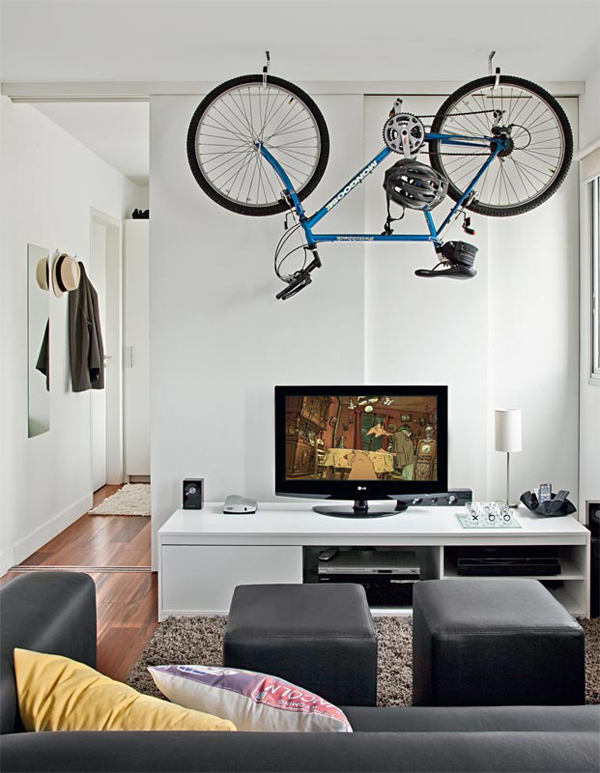 It’s good location under bicycle hanger filled with furniture that does not allow occupants to sit under bicycle hanger. 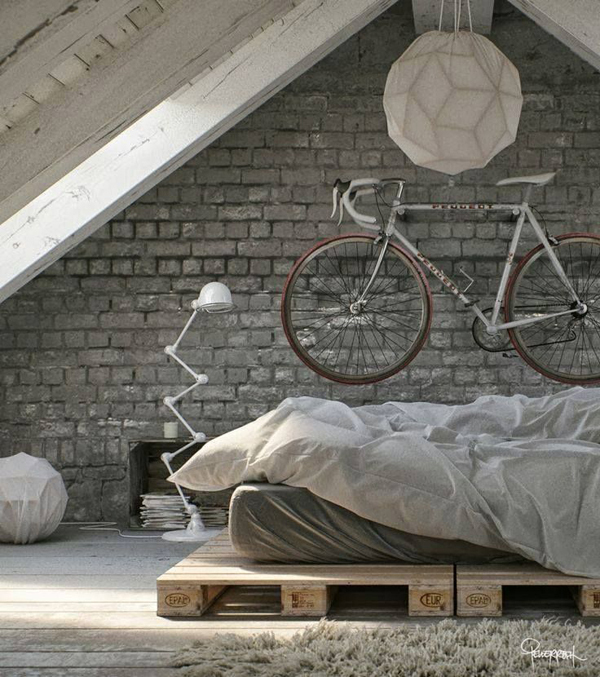 It turned out that bike can be part of the room, because we all want the aesthetics of the room remain unnoticed. 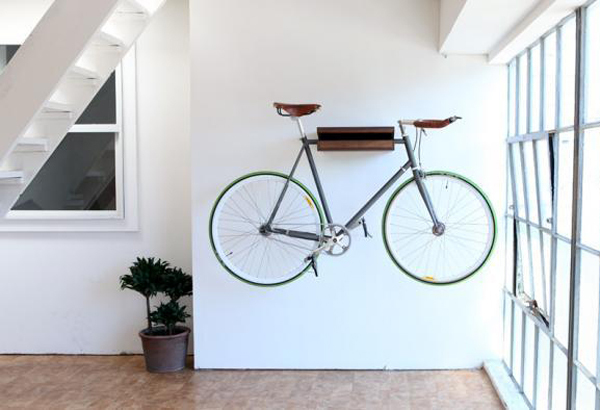 Bicycles can also be used as display art. 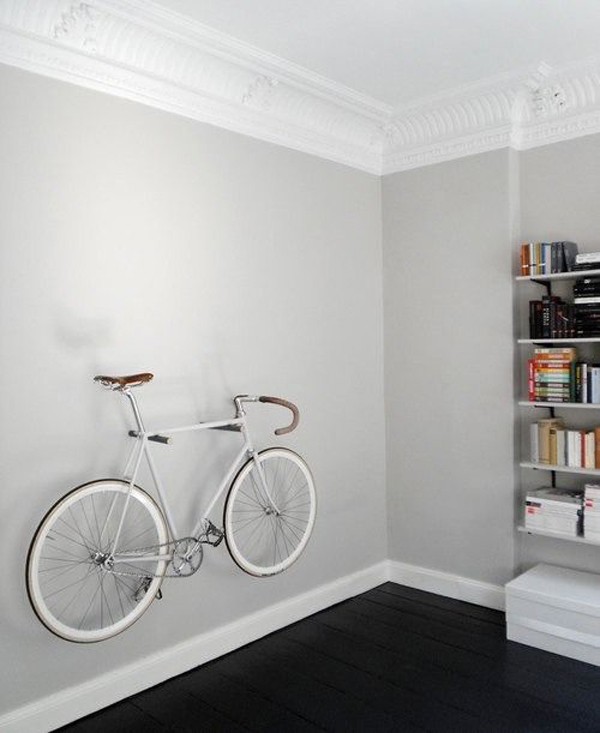 In addition to multifunction (as a place to put bike), can also beautify the room. 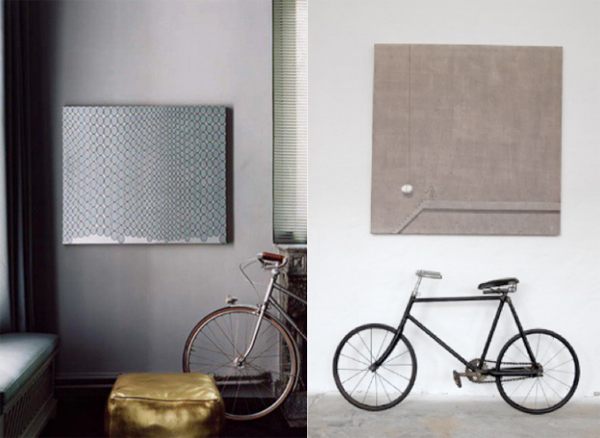 You can put them on top of a bedroom, living room, or even give a large picture frame. Are you still curious? 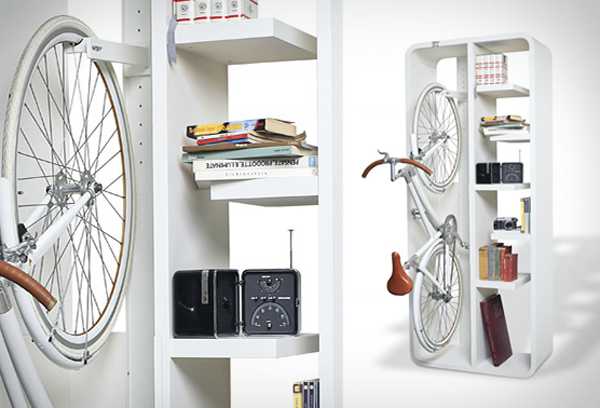 Scroll down to find storage ideas your favorite bike! 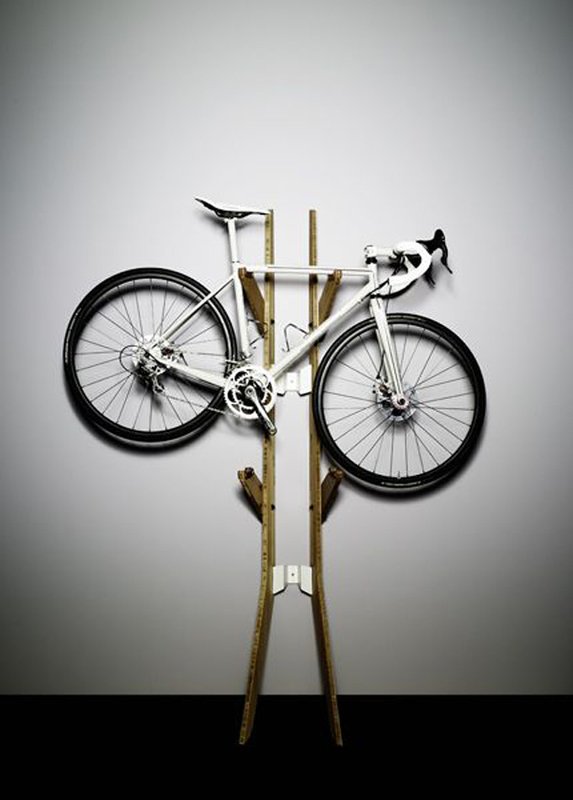 Keep your bike (make sure the wheels and bicycle frame in a clean state). 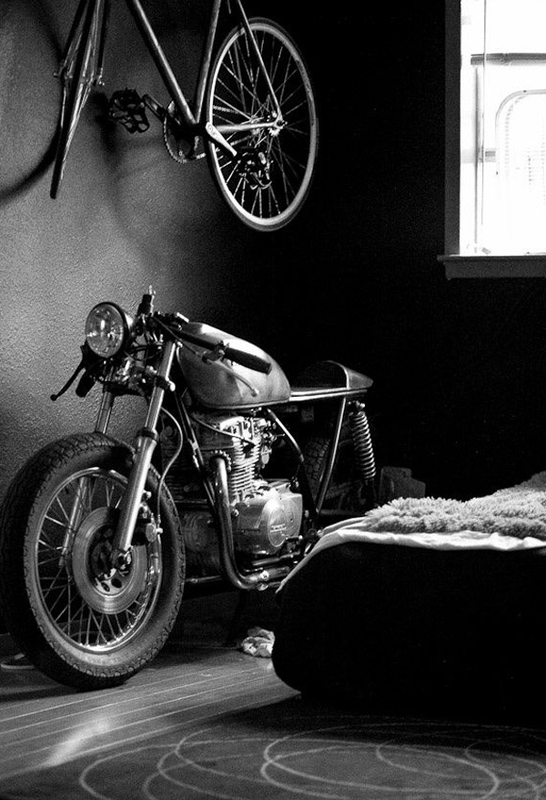 clean bike does not give a bad impression on the room. clean the mud and oil is in bike before storage in the home. Put the carpet and upholstery in the bottom of the storage location of bike so that floor is not exposed to mud or sand off the bike. 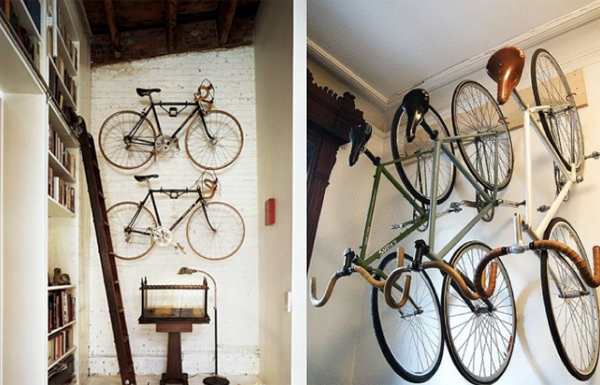 To process a hanging, hooks used to be able to support the weight of bike. Clean your bike regularly. 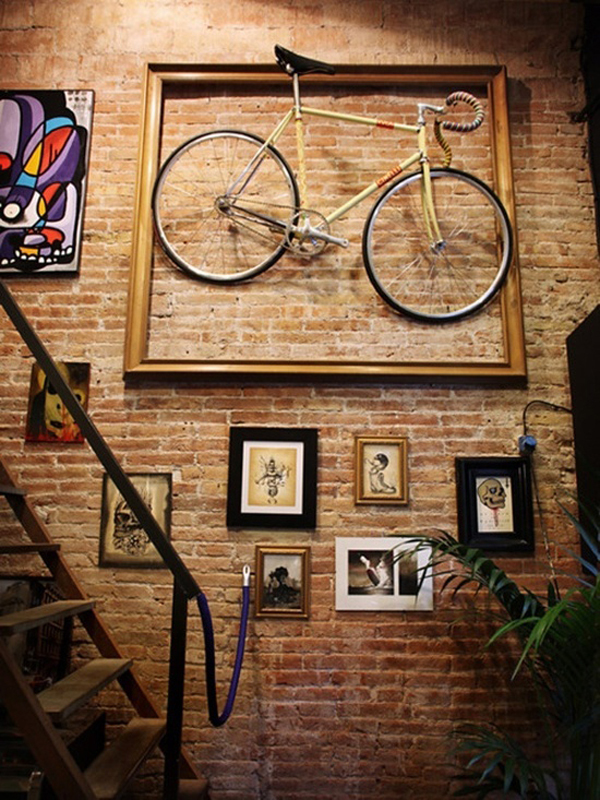 Some of my friends have a hobby cyclists displaying their bike as an artwork. 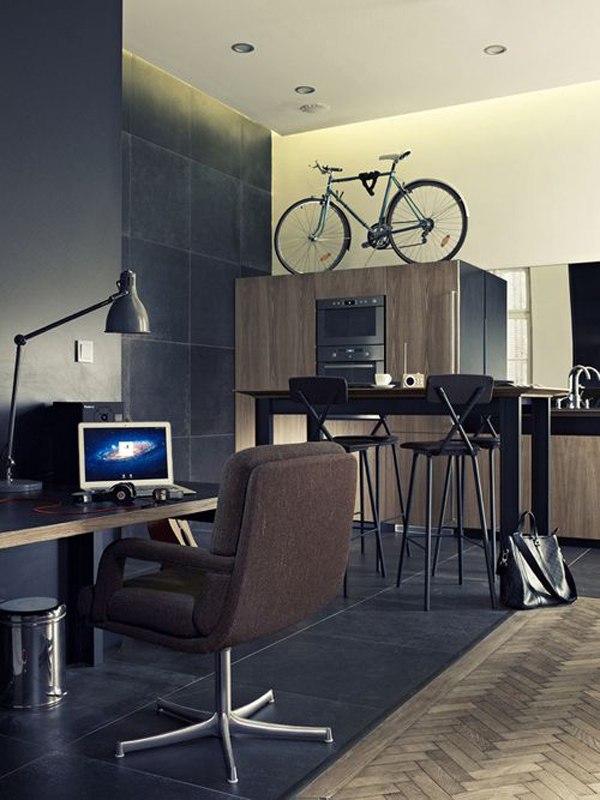 To always remain in harmony with the room, bike always kept in immaculate condition and well maintained.